We carry a variety of sizes, please see the charts below. If you want to bring your own gear, then you are most welcome - we have prepared some information and advice here on what you will need. Please also read some recommendations and MINIMUM kit advice here. Don't come unprepared! All hire gear can booked and paid for during the process of booking a tour, otherwise it can be done seperately through the dedicated booking page here. If in doubt use body size rather than height or give us a call. We need your suit size and shoe size when booking. 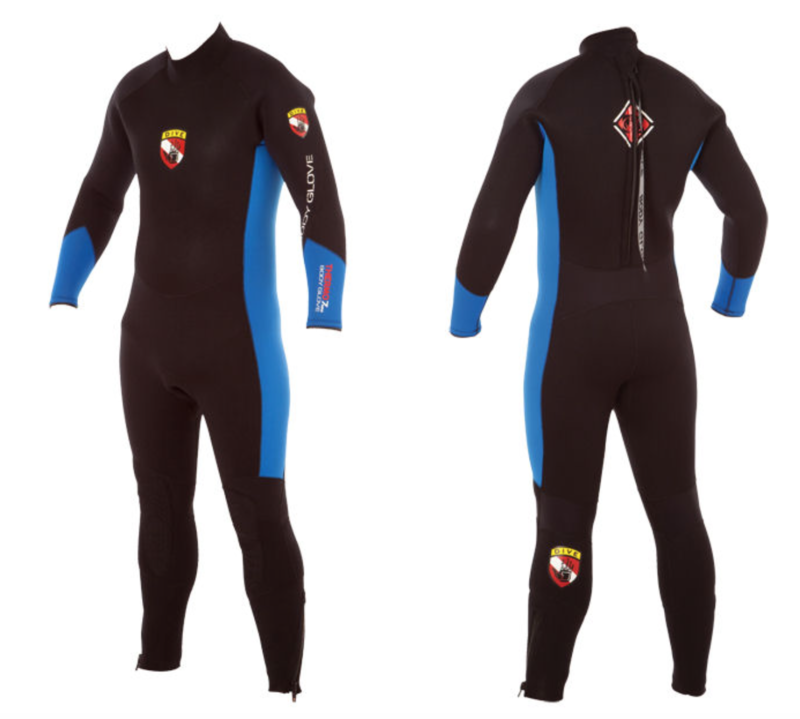 We have a stock of high quality 8mm premimum suits which have the benefit of thicker neoprene, semi-dry seals and an attached hood. 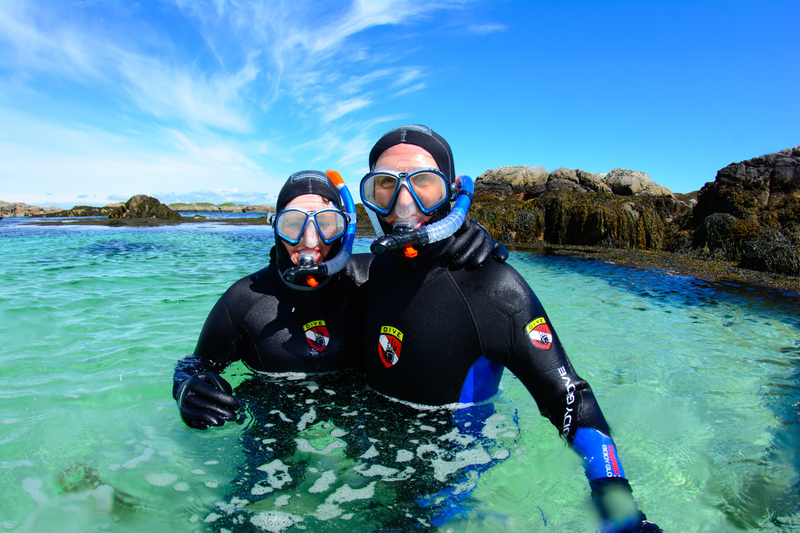 They are much warmer for snorkelling than our wetsuits and require no additional training. 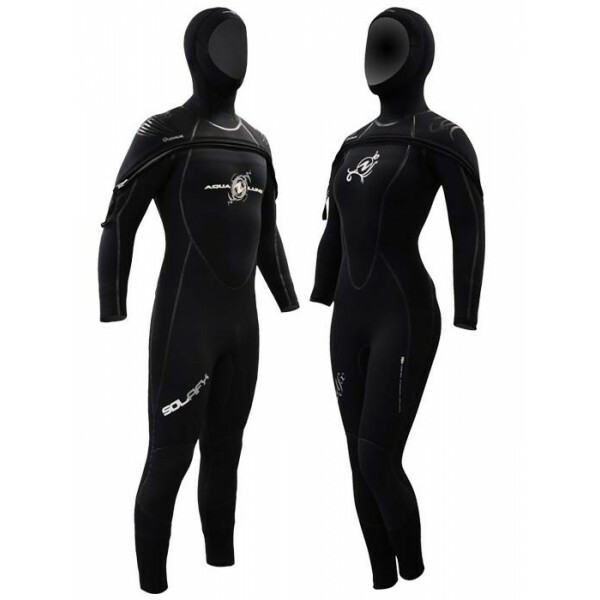 These are suitable for those diving on our tours or for those that are particularly worried about being cold when snorkelling. For the extra money they are very much worth it! Please note the sizes do not correspond to dress size. When ordering your hire gear, make sure you tell us your shoe size in British size. See size charts below. We have a full range of kids’ snorkelling gear. The suits are 5/3mm and are thinner than the adults, so we normally bring two suits for them as kids tend to get colder quicker. Please choose a suit based on their own body size and we will bring one more of the next size up. 8-10 141-148cm 4'6" - 4'8" 78cm 30” 64cm 25"
10-12 148-155cm 4'8" - 5' 81cm 31" 67cm 26"
12-14 155-161cm 5' - 5'2" 84cm 32" 70cm 27"
We also have a GoPro 4 Black camera for hire. 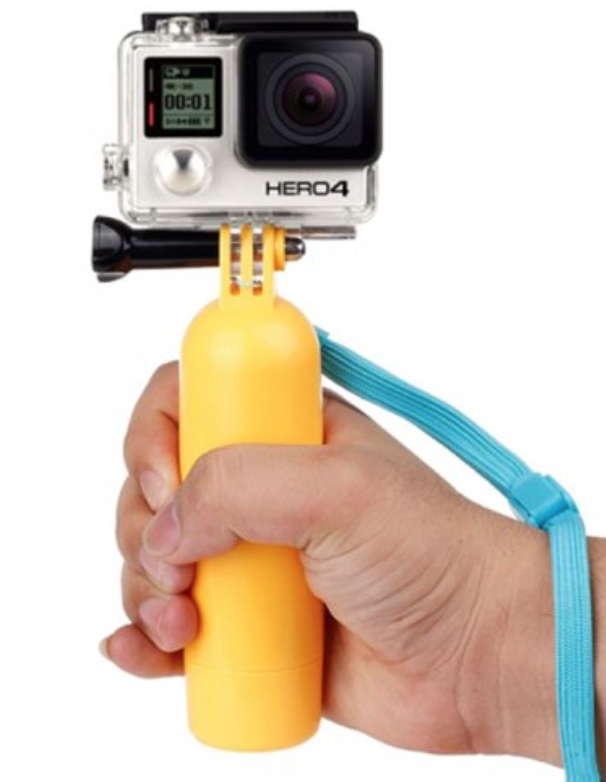 Comes with a handle grip and lanyard. You need a 32 GB Class 10 UH3 Micro SD card (e.g San Disk Extreme) so you can take your footage away. These are available from us in case you forget. Unfortunately, DVD/CDs don't have enough storage capacity for the photos and videos, as the cameras shoot high-quality files. A weight belt is not required for snorkelling. If you are an experienced snorkeller or free diver and would like to hire a weight belt, then please get in touch to discuss your requirements. When diving on our 3 or 4 day trips we usually dive at the fantastic pier which has max depth of around 8m, see more about this dive here. However, for more information on diving opportunities then see here. 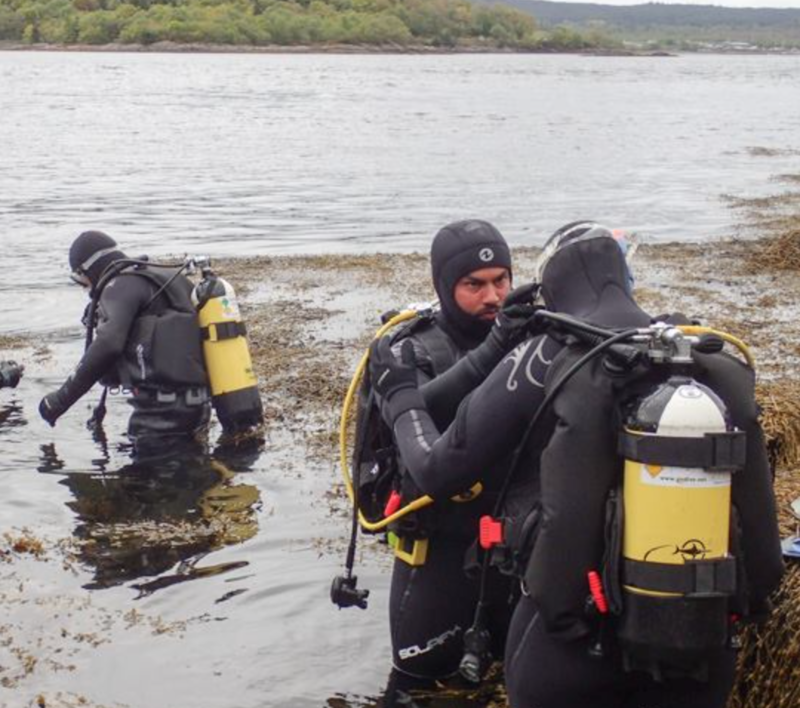 If you are coming for a full week or a specific dive trip, then we have 8mm semi-dry suits however for serious divers we would advise that a drysuit would be best (we only have a few of these and they are not normal hire stock).